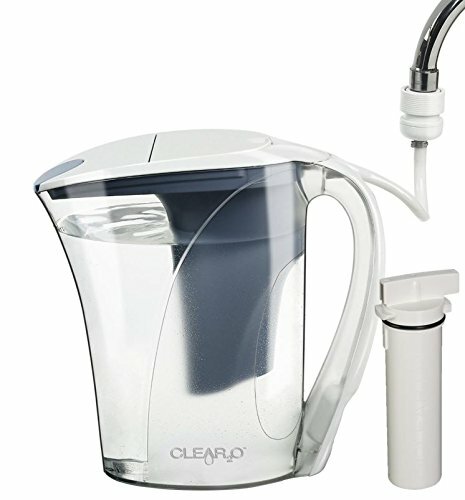 The Clear2O ADVANCED Water Filter Pitcher continues to be one of the top favorite water filter pitchers in the market. Our Clear2O ADVANCED engineered carbon block filter has been independently tested on over 200 contaminants to achieve NSF/ANSI 42 and NSF/ANSI 53 standards for reduction of Chlorine, Heavy Metals, VOC, & Other contaminants. The Clear2O ADVANCED filter system achieves EPA and NSF/ANSI 401 test standards for reduction of many Herbicides, Pesticides, Pharmaceuticals, Industrial Wastes, and PFOA's (Perfluorooctanoic Acids are man-made chemicals used in various manufacturing processes. ).